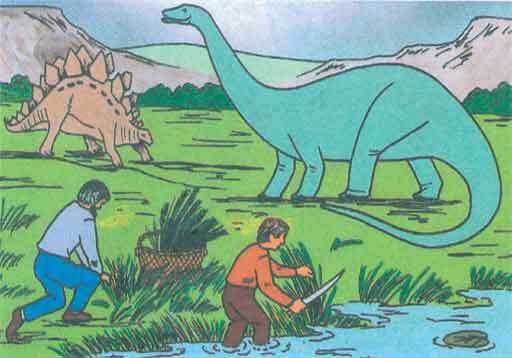 “That was just plain-old, misguided, bad, horrible science, talking about dinosaurs and humans living together,” said Brandon Haught, a science teacher at University High School in Volusia and member of the advocacy group Florida Citizens for Science, who also reviewed the materials. Haught said all the texts, compared with what he uses in his public high school, seemed to downplay “actually doing some science.” They also disregard a key point of science — that not all answers are known, that there are more discoveries to be had. That quote was just a snippet from my interview that lasted more than an hour. However, the video that goes along with the story has some additional information not in the print version and features me talking about the use of the word “theory” (at about 5:19) and explaining the potential impact of such horrible curriculum (at about 7:42). Make sure you take the time to watch it. It’s the one right by the headline. There’s another video further down on the story’s page that gives a good overview of the entire series of articles. Also accompanying the main story is a sidebar story focused on the companies that supply the curriculum to the private schools: Who is behind Christian curriculum companies that supply lessons to Florida’s voucher-funded private schools? Abeka, along with the Bob Jones University-affiliated BJU Press and Accelerated Christian Education Inc., is among the most popular curricula used by Christian schools that take part in Florida’s $1 billion voucher program, which pays for children from low-income families or those with special needs to attend private schools. A have a few books from these companies that I used as reference when writing my book, Going Ape: Florida’s Battles over Evolution in the Classroom. I wrote about voucher-accepting schools in chapter eight. That’s part of the reason the Sentinel reporters interviewed me; I’m already familiar with this stuff. 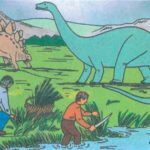 Yes, the books used in some private schools’ science classrooms are awful! And our tax dollars are paying for them!